Buzzing with excitement and activity, it is always great to be at the MAMI Film Festival. This time around, there’s an intriguing list of films to catch and as is the norm, not enough bandwidth to watch it all! By evening, one can spot a fellow cinephile (not the ones that make an appearance for a film or two but the veterans who manage at least four a day) by their panda eyes and rumbling tummies for there is never enough time to order that tub of popcorn. No seat service either, unfortunately. To top it off, the cinephile’s body has always been immune to coffee. We do our bit though and present to you our thoughts on all that’s potent or pretentious at the festival. 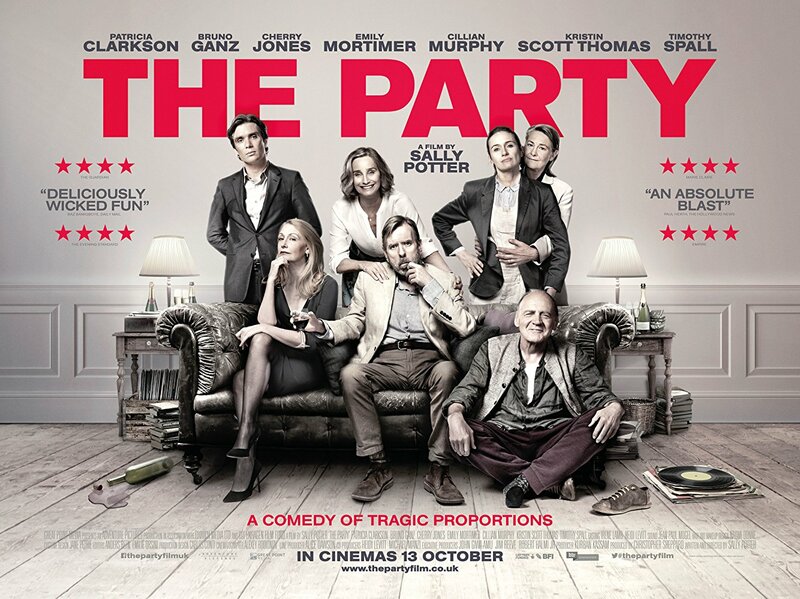 The lead, Janet, played by the excellent Kristen Scott Thomas, has just received news of a promotion to the post of Minister in the Parliament, and she summons a little party in her home. An oddball mix of characters find themselves in this space, each bringing their own secrets to the already overcrowded table. Crisp, well-cast, and well-written, this one’s a cracker of a film. Which comes as no surprise considering the people involved in the making of it. Sally Potter presents a flawless screenplay, throwing one caustic revelation after another. So much of the exposition happens not only in each line of dialogue but also in the silences. Shot in black and white, it allows one to focus on the actors as opposed to the paraphernalia around them. It’s for this very reason that every roll of the eyeball, quiver of lips and minute change in expression is amplified and carries so much weight. Rage comes to push comes to shove, as the soiree culminates in murder. And that’s not even the biggest reveal of this movie! The end didn’t sit well with us though, as it seemed a tad too gimmicky for an otherwise seamless film. But on the humour and sarcasm front, no one quite succeeds like the British. The most baffling bit though? The entire thing was shot over a measly two weeks in a studio. Hats off to Potter for pulling this off. Do watch it when it plays again or pray for a Netflix entry. This film closed with applause. Which felt unwarranted. As the name suggests, it is about the life of Marx in his youth, at the prime of his writing and rebellion. This story throws light on his unlikely friendship with Friedrich Engels, the son of a factory owner, and the so-called enemy. The relationship between the two men comes through beautifully. It’s an easy camaraderie built on mutual admiration and a great urge to change the system. 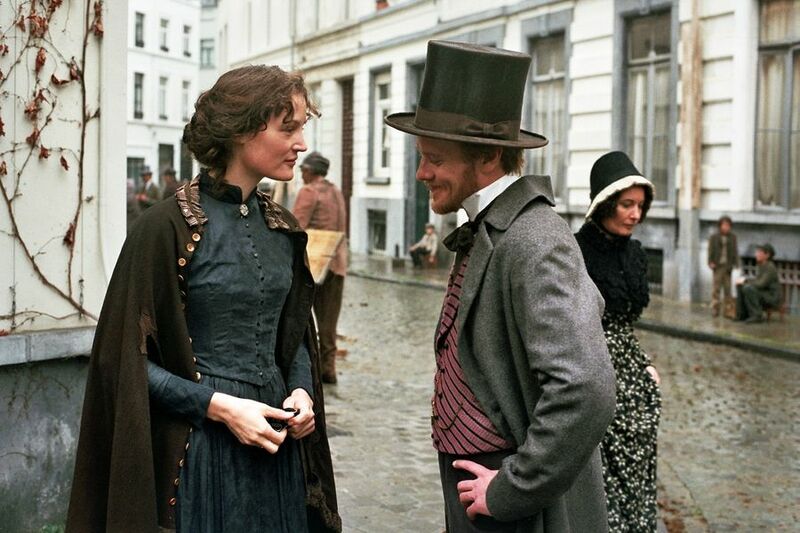 What is interesting to note is that Marx’s beloved Jenny belonged to the bourgeoisie and Engles’ wife Mary was a feisty Irishwoman, who worked in his factory. Both Vicky Krieps and Hannah Steele, who played Jenny and Mary respectively, stood out even though they had tiny, supporting roles. Jenny said something that stayed with us — “Happiness requires rebellion.” True isn’t it? 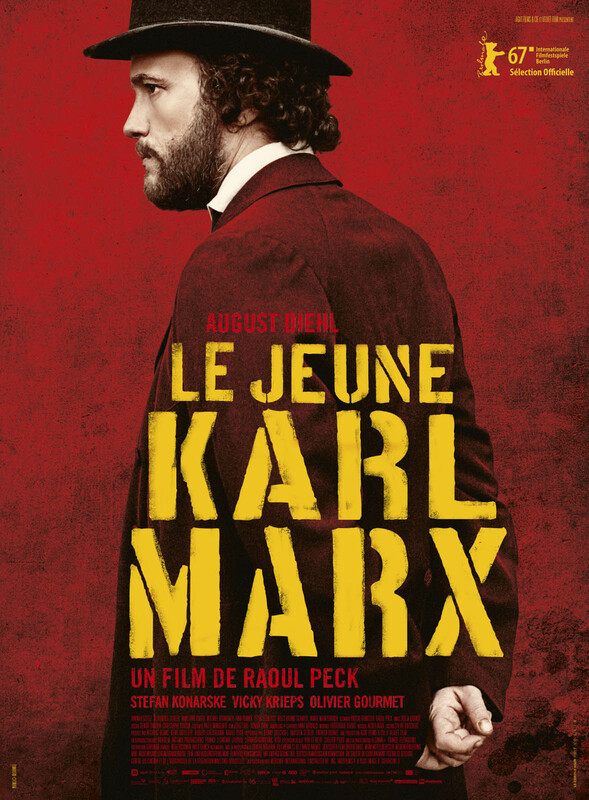 For all its promise, Le Jeune Karl Marx did not deliver and was a dull affair that droned on for 112 minutes. It could have been edited with a sharper pair of scissors. This seemed too indulgent. A movie that progresses gradually has its own charm. But one that doesn’t really progress at all leaves you feeling short-changed. Not enough is seen of the struggles of the proletariat. In fact, most of it comes only in the end. A montage of shots coupled with hard-hitting text flashed on the screen and led us to believe that this is what inspired the applause. All in all, a more detailed depiction would have been preferable. You can definitely give this one a miss.